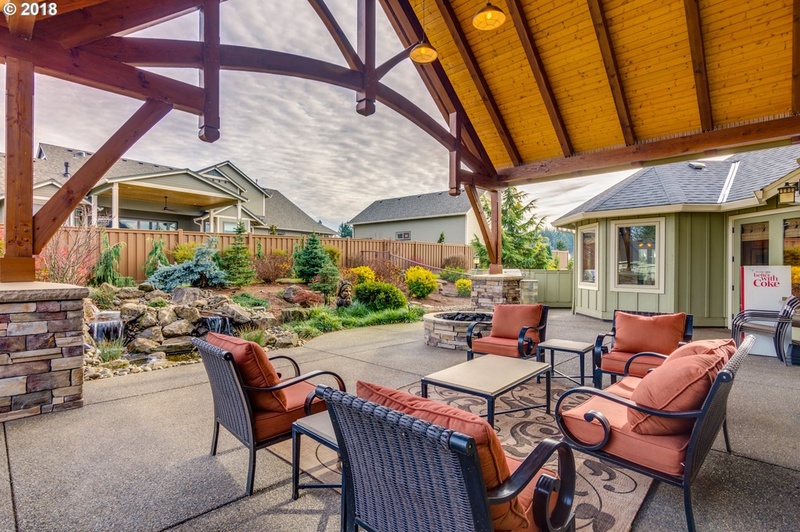 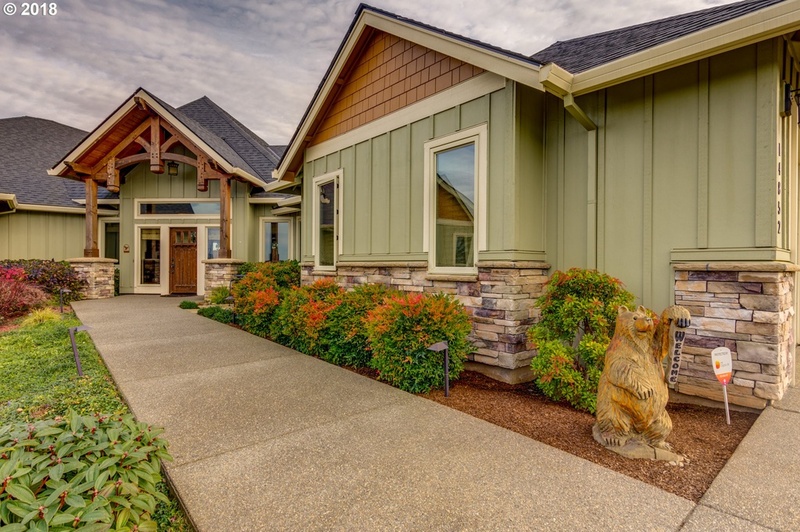 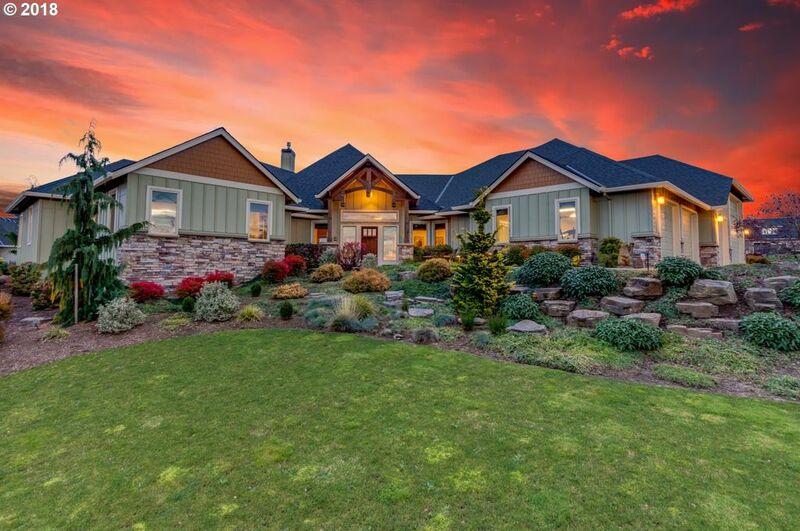 This handcrafted custom outdoor patio adds elegance and charm as well as additional usable square footage to this beautiful Oregon City, Oregon home. 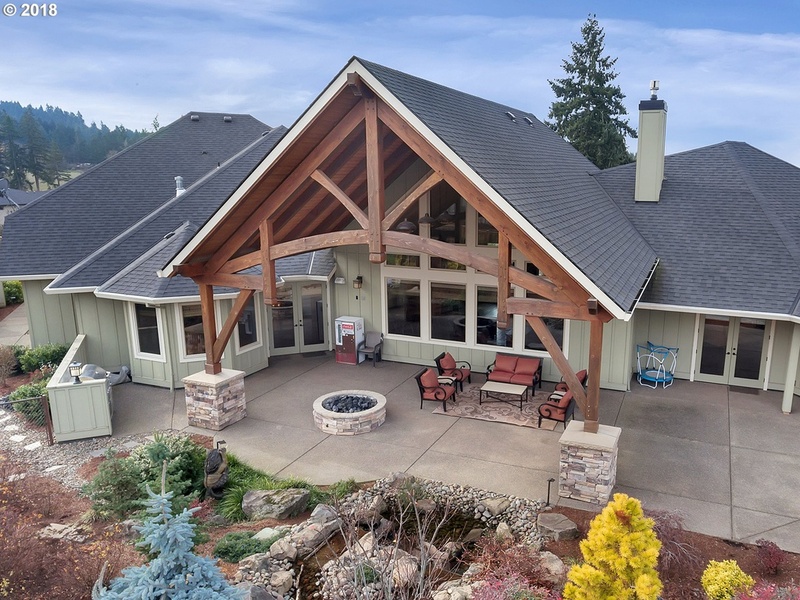 A large hammer beam style truss sits on stone columns that match the home exterior and the built in fire pit creating an outdoor living space that is an entertainer’s delight. 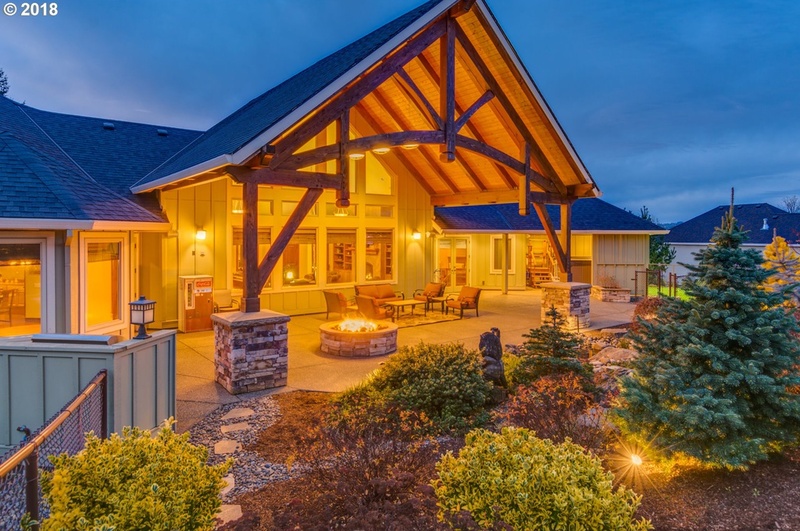 A similar truss on the front of the house is a warm welcome to guests as they enter into this exceptionally beautiful home.